//Make it better. Make it with Stratasys. Making it easier, faster, better, cheaper than ever before to do the things you always wanted to, but never thought you could. Since 1988, Stratasys has worked closely with thousands of companies around the world, helping them develop perfect 3D printing solutions. 3D printing solutions are about opening the minds of our engineers, educators, and medical professionals, creating limitless opportunity for our businesses and professions. 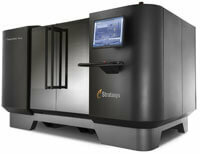 Stratasys helps you innovate new products, solutions, and techniques through design freedom, iteration, and ingenuity. Stratasys 3D printing solutions elevate the quality, standards, and integrity of products so your customers delight in a great experience. They streamline workflows, inspire collaboration, and support end-to-end solutions so your organization delivers results through the best experience. Outperform the competition, increase ROI and, most importantly, create ideas that will shape the world. FDM 3D printers use production-grade thermoplastics to build strong, durable and dimensionally stable parts with the best accuracy and repeatability of any 3D printing technology. 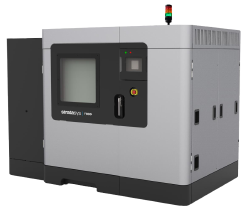 The world's most reliable range of industrial-grade 3D printers. High strength without the high price. 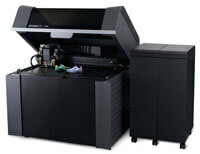 The largest-capacity FDM printer, delivering remarkable agility, sharp accuracy and high return on investment. Outstanding value and an impressive range of eight different materials, including transparent and high-temperature photopolymers. Ultimate precision and versatility with 12 materials that give you specialized properties like flexibility and biocompatibility. Create prototypes that embody your product vision down to the finest detail with 15 material options to deliver outstanding precision and productivity. Your gateway to the world of multi-material color 3D printing. In a single print job, you can incorporate a wide range of material properties to vary translucency, rigidity, thermal resistance or color. Combine up to six materials at one time, delivering unrivaled aesthetic performance including Pantone validated colors, texture mapping and color gradients. Produce full-scale prototypes or fully packed trays of precise, small parts with the world’s largest multi-material 3D printer. AdvancedTek distributes Stratasys technology to our territory of Minnesota, Wisconsin, Iowa, Nebraska, North Dakota and South Dakota.